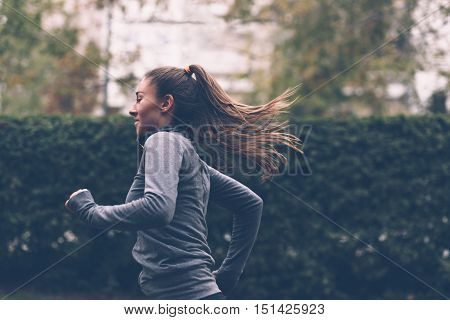 training › Buy Poster of Woman running. Female runner jogging, training for marathon. Fit girl fitness athlete model exercising outdoor. Poster of Woman running. Female runner jogging, training for marathon. Fit girl fitness athlete model exercising outdoor.